The new UN human rights chief warns about abuses worldwide, citing among others the Trump administration's "unconscionable" separations of migrant families, and urging the European Union to create a dedicated search and rescue operation for migrants in the Mediterranean sea. The new UN human rights chief warned Monday about abuses worldwide, citing among others the Trump administration's "unconscionable" separations of migrant families and urging the European Union to create a dedicated search and rescue operation for migrants in the Mediterranean sea. Michelle Bachelet made her first address to the Human Rights Council as it opened a three-week session. The former Chilean president, once a political detainee herself, became UN High Commissioner for Human Rights this month. "I have been a political detainee and the daughter of political detainees. I have been a refugee and a physician – including for children who experienced torture and the enforced disappearance of their parents," she told the 47-member forum in Geneva. Bachelet voiced concern that 500 migrant children in the United States taken away from their parents have not yet been returned by authorities. She decried the announcement by U.S. President Donald Trump's administration last week that it would withdraw from a court agreement limiting detention of migrant children to 20 days. She encouraged the European Union to ensure access to asylum and rights protections, and faulted the government of member country Italy in particular for "political posturing" with its policy of denying entry to non-governmental organization rescue ships. According to her prepared remarks, Bachelet said "attacks and persecution appear to be continuing" against the Rohingya minority in Myanmar's Rakhine state. 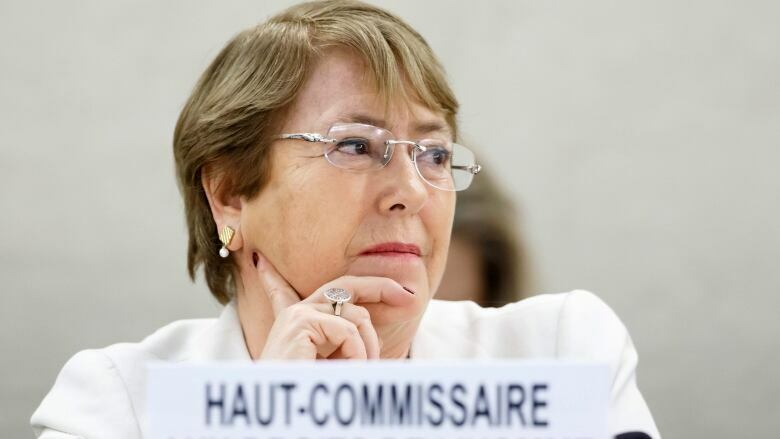 Bachelet echoed calls by UN investigators last month for the creation of an independent "mechanism" to collect and analyze information about rights abuses in Myanmar for possible future use in national or international courts. She urged the council to pass a resolution referring the issue to the UN General Assembly, which could create such a mechanism. Staying with Asia, she called on China on Monday to allow in monitors after "deeply disturbing" allegations of large re-education camps in which Uighurs are detained in Xinjiang province. Her appeal for access came as Human Rights Watch reported that the Turkic, mostly Muslim Uighur minority in Xinjiang face arbitrary detentions, daily restrictions on religious practice and "forced political indoctrination" in a mass security crackdown. A United Nations rights panel said last month it had received credible reports that up to one million Uighurs may be held in extra-legal detention in the far western province of China, and called for them to be freed. China has rejected the allegations of internment camps and accused "external factors" of causing turbulence in the restive region. Reports had been received of "patterns of human rights violations in other regions," she said. Bachelet called on the Beijing government to permit access for her staff across China, saying that she expected discussions to start soon. 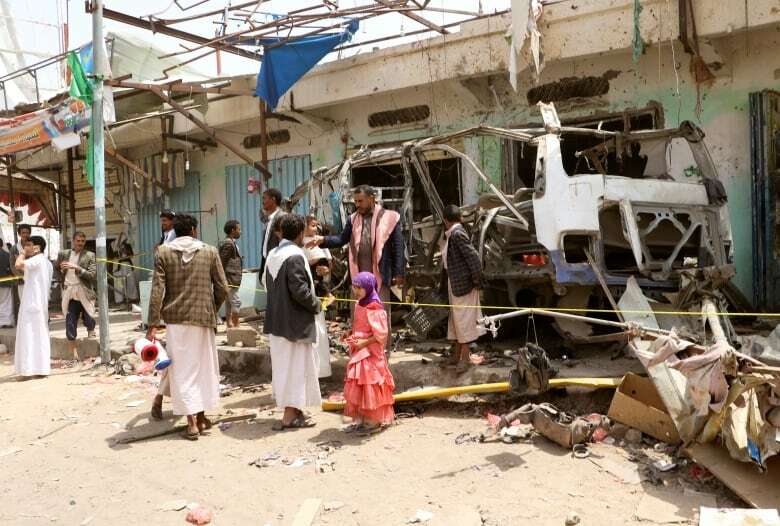 Turning to the Middle East, Bachelet urged the Saudi-led military coalition in Yemen to show greater transparency in its rules of engagement and hold to account perpetrators of airstrikes on civilians, including one that hit a bus killing dozens of children in Saada last month. "I will be closely following what steps are taken to hold the perpetrators accountable and provide remedy and compensation to the victims," she said. The investigators gave her a confidential list of suspects linked to international crimes in the years-long conflict, Bachelet said. "The recent Saudi royal order which appears to provide a blanket pardon to members of the Saudi armed forces for actions taken in Yemen is very concerning." As for Syria, Bachelet expressed concern about "ongoing military operations" in rebel-held Idlib province, saying the suffering of Syrian people has been "interminable and terrible" and appealing for justice for victims of human rights violations during the 7½-year civil war.